We all want to increase our website’s traffic and exposure. So far, one of the best ways to achieve that is by getting quality backlinks through SEO press release (Don’t worry, we’ll get into more details on this soon.) There are so many ways out there telling us how we can get more backlinks, but how many of them actually work? Let’s be honest here. Even I, took the advice from other marketing experts to see how effective their methods are. But honestly, some of them are pretty disappointing I’d say. Back then, link building was the best hack to getting more traffic to your website. But Google’s search algorithm has become smarter and they started to penalize those who use the link building method. Ever since then, link building is no longer preferable. Instead, people changed their directions and use the link earning technique. How is that different from link building? Well, at least you’re earning your links ethically without spamming your content at other people’s blog. People who like your content will automatically share your links on the social media platforms. In results, you’ve earned your links. To me, it is one of the best ways to earn backlinks because you’re being recognized for your content instead of spamming links that are not beneficial to the readers. As SEO evolved through the years, I have found another way of earning backlinks too – press release. I know, it will probably sound weird for you guys who’s hearing this for the first time. Back to October when I just discovered SEO, never have I thought that press release can be related to SEO as well. But as time passes, I grow. And I realized that another way to earn backlinks is by writing a press release. Trust me, it works wonders. 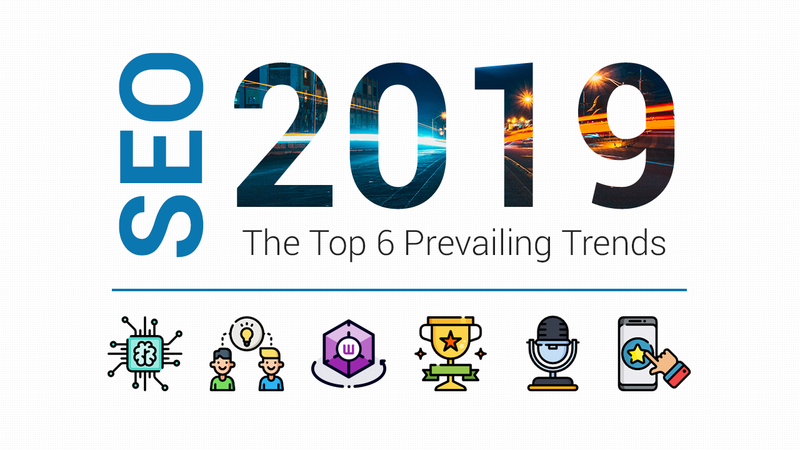 Over the years, we’ve been searching high and low for the best way to increase traffic and exposure so that it will have a positive impact on our search engine rankings. Press release distribution is considered one of the more economical options that business owners can go for compared to paid advertising. Generally, you can increase your website’s traffic and maximize SEO efforts with press release distribution. If you think about it, it’s actually a pretty good value for money. How Does Press Release Have SEO Value? 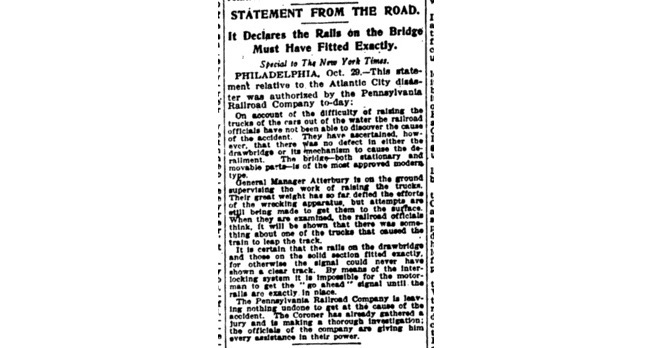 Fun fact: Press release was introduced since 1906. It’s here for more than 100 years already. 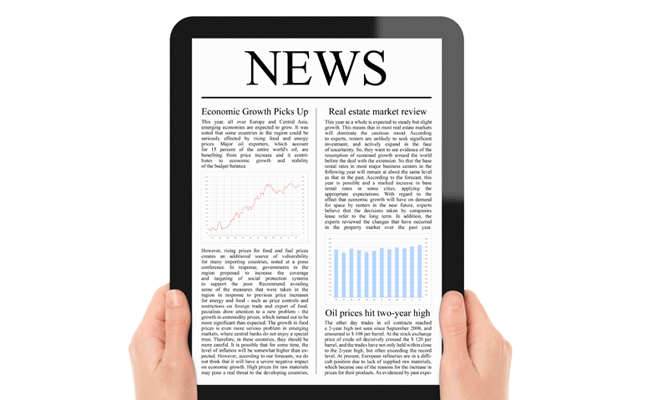 The purpose of press releases is to get your news out there for people to know about your business. Not just that, what we need is also to get the media’s attention about something that is newsworthy so that they will write about it. To accomplish this, you’ll need a press release that has real news value. Press release was introduced before the Internet. When it came along with other online platforms such as blogs and social media, the approach to press releases changed too. No longer it is only sent to newspapers, magazines, or radio stations, but it is sent to online media as well. 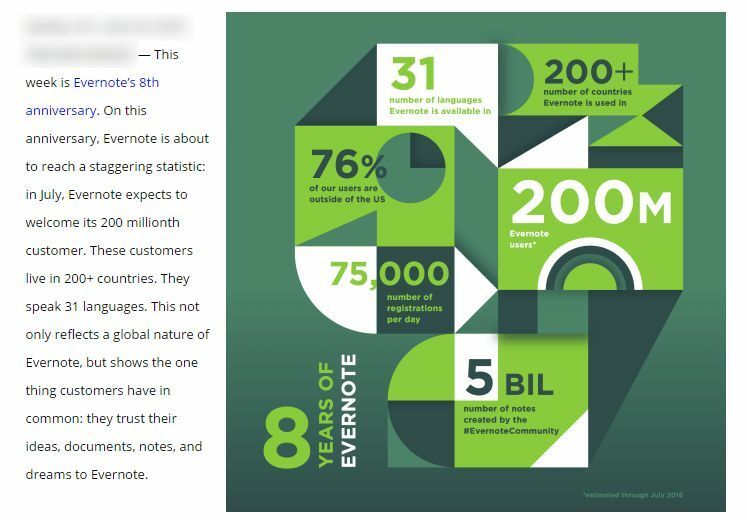 Press release is not only commonly used by big companies, but startups too. Business owners need press releases to reach out to their target audiences because then it can help to generate more sales. Aside from that, you should know that press release is also indexed by search engines. In another word, your content will be stored in Google’s database. With this, users will be able to find your content easily when they search for you on Google. If you’re still 50/50 on having SEO press releases in your marketing strategy, let me give you a clearer vision. Do Backlinks In Press Release Help To Rank? We’ll be looking into a study that was carried out 3 years ago. 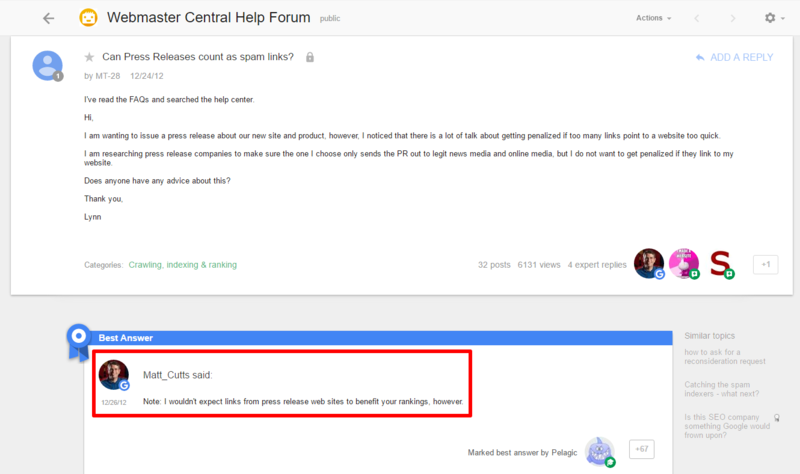 In 2013, Matt Cutts commented in a Google forum thread saying that links provided in press releases will not benefit your ranking. This wasn’t the first time Matt stated that links in press releases are not valuable. Do you think the links in press releases are really useless? 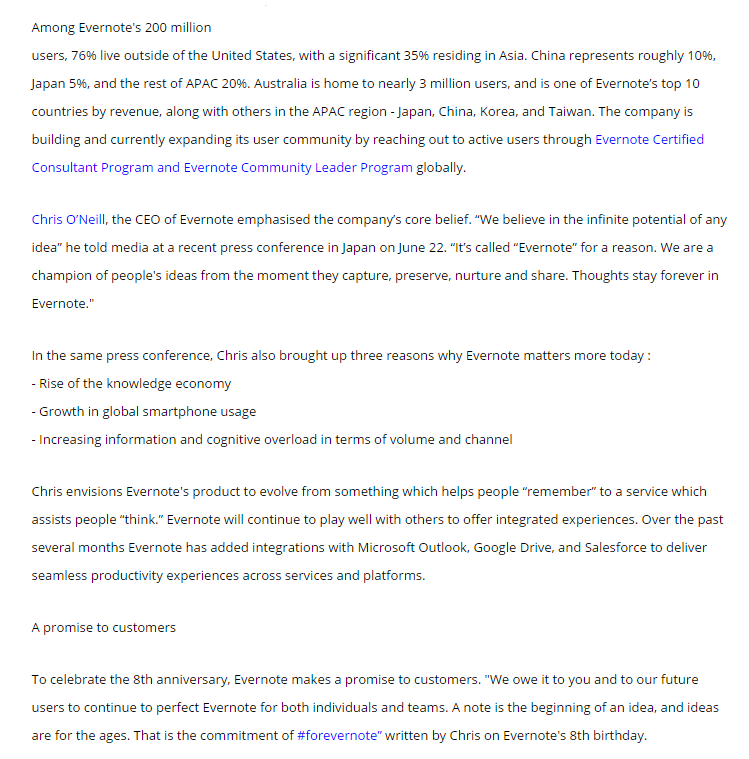 To find out the truth, a press release was issued with the anchor text of ‘leasreepressmm‘ pointing to Matt Cutts’ blog. 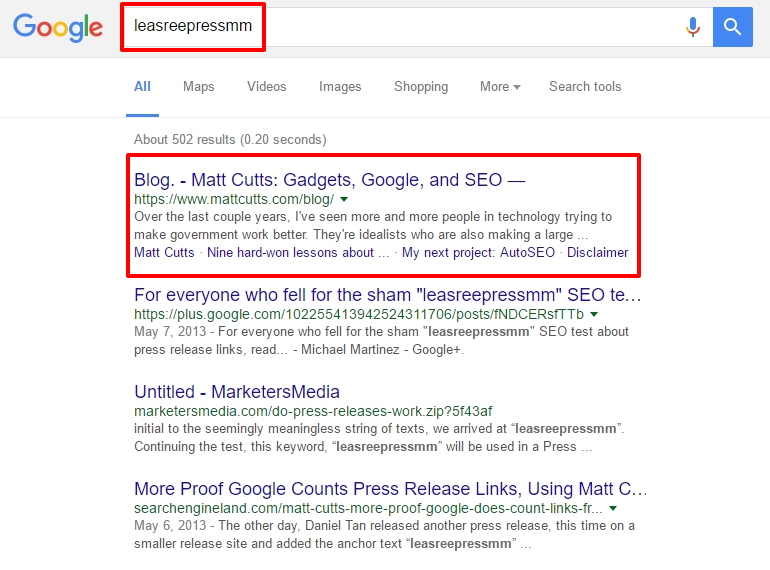 The aim is to get Matt’s blog rank for the keyword ‘leasreepressmm‘. As you can see, based on the proven results, Matt Cutt’s blog is still ranking after all these years, even though it’s been 3 years since the study was done. In fact, links in the press releases are effective in getting your website ranked. If you’re still not convinced, here are some data to prove the benefits of media coverage. Are you Team White & Gold or Team Blue & Black? The debate of this dress has received a huge attention from everyone, including the major publishers like BuzzFeed, Time, and Wired. 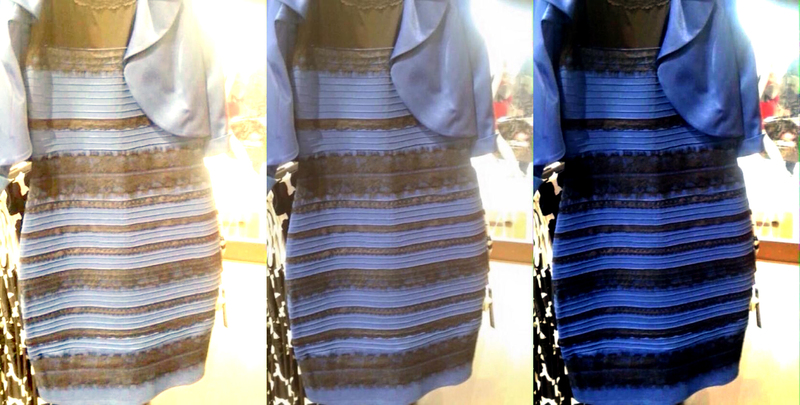 Even celebrities voiced out their opinions about this dress on social media. 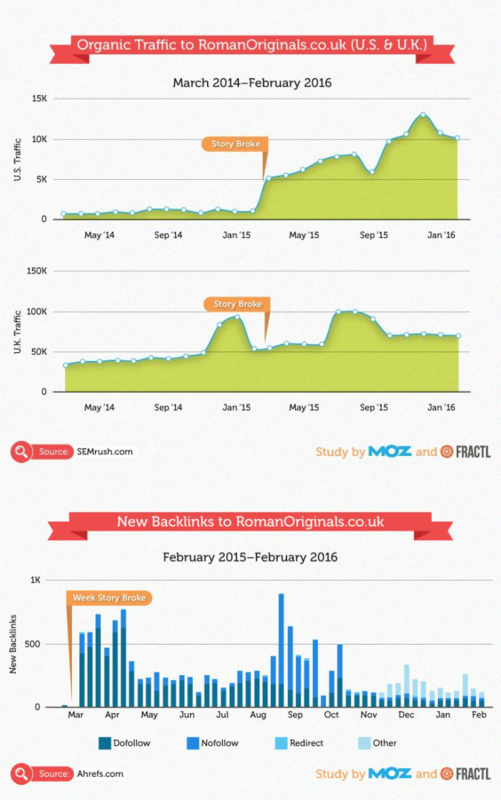 Based on the analysis from Moz, Roman Originals has an increased of 17.5K& in the press mentions, which is nearly a 420% increase in US organic traffic, and 2.3K% increase in new backlinks! They have so much exposure that their global sales increased by 560% just within a day when the story went viral. Roman Originals has a tremendous increase in organic traffic and backlinks. This has proven that brands that are little-known can also stand a chance to get their names out there. An element of surprise should be the primary focus on making a news goes viral. 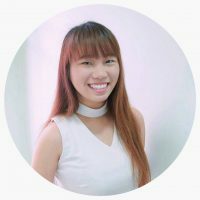 So remember to include an angle that your readers will never expect in your press release by focusing on what’s unique about your brand and how is it different from the others. However, not many businesses understand this and did it the wrong way. Writing a press release is actually really simple. All you have to do is follow the press release style and include the message that is newsworthy to your target audiences. To make sure your target audiences will receive the message that you’re sending across, let’s get started by going through the basis of a press release. Imagine this, if your friend is asking you favor to send a parcel, but he/she didn’t provide you any details at all. How will you be able to find out the information when your friend isn’t providing any details to you? The same goes to the press release here. When you’re sending a press release for distribution, always give as much information as you can so that your potential customers know where to find you if they’re interested. Let me get this straight. We’re writing a press release, not a sales letter. The headline should be clear and free of promotional tone. A press release headline should be announcing your news like what you read on the newspaper. News headlines are up-to-date and newsworthy. One way of writing a good press release headline would be including an active verb in it. Summary in a press release should be written in only 1 paragraph and give a brief description for your audiences to know your content. I’ve read some of the press releases that have the same summary as the first paragraph. To me, this is definitely a no-no. When audiences find out that you’re repeating the same thing in your press release, they will no longer be interested in reading more. Therefore, it is very important to keep it short and concise, just like the synopsis of books that you’ve read. You don’t see authors repeating their synopsis in the book, right? Dateline should consist of the city, state, and date of press release’s issue. It should be included in the first line of your copy, followed by the introduction of your announcement. According to Associated Press, the city name in the dateline should be in all caps, the abbreviated state name, and the full date including the year. The first paragraph of your press release should provide information that answers the 5W1H (Who, When, Where, What, Why, How). You should begin with a strong introduction that captures the readers’ attention. The introduction is not the same as the summary of your press release. Instead, it should be the highlights of your message so that readers can understand what your press release is about even when they just skim through the first paragraph. When writing a press release, it’s very important to write it from a third-person point of view. A press release should report on what’s happening on an event from a third-party perspective because the first-person language is usually used in advertisements. So it wouldn’t be relevant to use the same method in a press. Think like a journalist. You don’t see journalists writing a piece of news from their perspective, right? But there’s always an exception for it. Unless you’re quoting from a company, partner, or customer, then it is alright to use the first-person language. The boilerplate is the short paragraph that gives information about the company or organization. It is usually placed in the last paragraph of a press release. This is where you describe your company’s background. Most business owners will add a subhead “About Us/About [Company Name]” so separate it from the body to that readers can easily identify the company’s details. Providing your contact information such as name, phone number, and email address is vital. This makes it easier for potential customers to contact you when they’re interested in your products/services. In another way, you’re also building your authority here by giving details for audiences to reach to you. And now that I’ve got your attention, I’m gonna show you the effective way of writing a press release to maximize your exposure. Writing SEO-friendly press release always starts from the fundamental of SEO – choosing your keywords. You need to aim for the keywords that people will search for regularly. Then, you can rank your content for that particular keyword. In SEOPressor, we usually use our favorite free tool, Google Keyword Planner to look for the search volume of our targeted keywords. To find out whether to target the short-tailed or long-tailed keywords, you can read my teammate’s blog post here. Once you have your targeted keywords, make sure to include it in your headline, summary, and content. However, you wouldn’t want to put too many keywords in it and end up getting Google’s penalty. To avoid that from happening, always use variations in your content by using LSI keywords, which are the keywords similar to your main keywords. Check out another favorite free tool that we often use in SEOPressor to get more LSI keywords – LSIGraph. 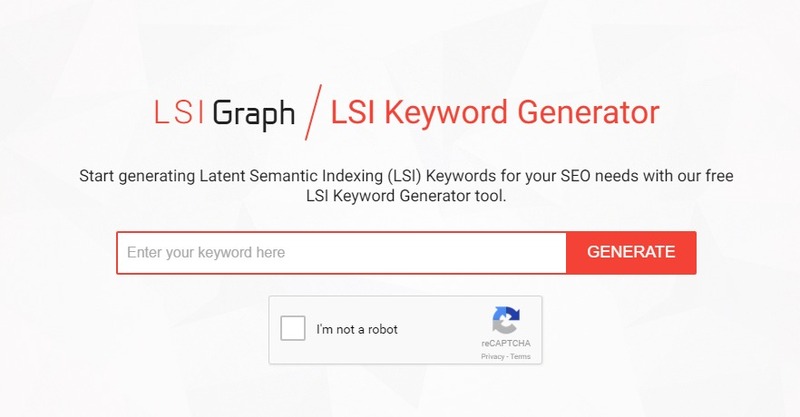 LSIGraph is a free LSI Keyword Generator tool that will fulfill your SEO needs. As business owners, we should be the one who offers solutions to our customers and makes things easier for them. Since press release is about announcing news, it’d be the best to not ask any questions in the press release. Instead, your message should be clear and concise. Readers will lose interest when they see questions because they’re interested in finding out more about you, not to think about the solution. Include images in your SEO press release. When you’re inserting images and links into your press release, remember to also optimize the on-page SEO such as inserting image ALT tags and anchor texts to direct the readers back to your site for maximum exposure. Tone down your promotional messages. People send press release full of promotional content stuffed with keywords and hyperlinks to affiliated sites and networks that manipulate the bots so that their content will appear in the search engines. It’s unhealthy to do so because your press release will get rejected by the media outlets, resulting in losing the money that you’ve paid for press release distribution. To give you a clearer idea on how to write SEO-friendly press release, here are a few types of press releases that may be suitable for your business. General news doesn’t refer to any news. Instead, it should be newsworthy – announcing something new that’s happening in the company or organization issuing the press release. Other than that, I’d suggest writing your headline in an active verb to make it look more like a press release. If you’re currently working on a new project, which is going to be launched sooner or later. You can always write a press release about it. Good things must be shared! More staffs are joining your company, and you want to talk about how much has your company grown? Sure thing. You can announce it on a press release too. Ah-ha! This is probably what most companies have in common. Whenever you have any event and you need more exposure, a press release will help to get your news out there. Well, you might think, “Who needs that when you have social media?” But what about those startups that don’t have much exposure yet? Especially when your followers are still increasing, social media wouldn’t be able to reach to everyone. But with a press release that will be distributed to different media outlets, it definitely will. Every business has their products/services offered. Other than talking about the launching of a product, you can go into more detailed on the details and specs for your product. However, you have to make sure that the press release should not be written like a sales letter or advertisement. You’ll get more exposure after sending a press release. Then, your traffic will eventually increase. But how often should you send a press release? When Should You Send Press Release? Depending on your budget, you can actually send it once a month or more than one in a month if you’d like to. Let’s take iPhone for an example. You can send a press release regarding the pre-launch, launch, or post-launch or anything that talks about more or less the same thing. Within a short period of time, you will definitely see the effects of your press release. If you’re looking for a sudden increase in traffic and sales, you may want to try sending out various press releases that talk about the same subject, but different approach and see your efforts take action. As I mentioned earlier, Google is becoming smarter so it’s not easy for every press release to enter Google News. Other than avoiding sensitive topics that are not accepted by Google News, here are some tips on creating SEO-friendly press release. Google only penalizes those who do keyword stuffing in a press release because they’re trying to manipulate the search engines, and still hoping to get ranked for that. Nuh-uh! Since Google penalizes links that are not beneficial to the readers, of course, you have to start writing content and links that are beneficial to both Google and the readers. What if I tell you that there’s another way for you to avoid getting penalized by Google? Yes, one way to avoid that is to include no-follow in your press release’s links. When you add no-follow in your press release, it tells Google bots “don’t count” the link. With this, you will still get valuable referral traffic from your press release’s links. At the end of the day, writing SEO-friendly press release will definitely help to reach your target audiences, and position your site to be ranked on Search Engine Results Pages (SERPs). Spend more time on optimizing your press release and you’ll definitely see the increase in traffic to your website, and more publicity like never before. If this is the first time you’re approaching press release in your marketing strategy, you’re probably thinking of getting those free or expensive press release services. But I have a better suggestion. This will be super useful for you if you’re new to press release. When you have no idea on how to start writing SEO press release at all, try using PRShelf. It generates more than 250 press release templates, convering anything your business needs. You can easily get a press release template that suits your business from PRShelf and start writing your very own SEO press release. Free services will not always be the best because you don’t even know where will your press releases be distributed to. As for the expensive ones.. why not try something budget-friendly that can reach to your target audiences the same way the expensive ones can? It is best to go for the mid-tier player as they often give you the best bang for your buck. Some of them send your news to Reuters, Associated Press (AP), Google News, ABC, CBS, FOX, and even Yahoo News. Best of all, most of them give distribution report with a list of live links! In SEOPressor, we’re currently using MarketersMedia to provide us with the press release service. So, check them out! Do you think SEO-friendly press release can actually help with your marketing strategy to drive more traffic and exposure to your website? Tell us more about your thoughts. We’d love to hear from you! Since we’re on this topic, allow me to introduce to you my preferred choice for press release service, MarketersMEDIA! To those of you who are looking to distribute your press release, you may head over there! Who are they? MarketersMEDIA is one of the best online press release distribution service platform. They offer various online release packages, enabling you to increase the web visibility of your news (including Yahoo and Reuters), drive traffic to your websites, reach new audiences, and stand out in search. Lucky you! They are currently having their Year-End Sale that comes only once in a few years. Act fast and you can save up to 70% if you purchase press releases today! Hurry! Limited time only! A comprehensive list of 22 actionable steps to write SEO press release.